Skullcandy today announced the launch of the SLYR Assassin’s Creed IV: Black Flag Edition gaming headset. 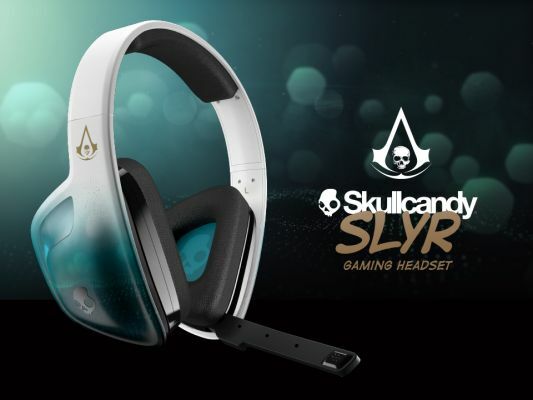 Skullcandy’s first officially licensed gaming headset, the SLYR Assassin’s Creed IV: Black Flag Edition will feature a new and unique custom color as well as artwork inspired by the game’s Animus virtual reality machine. In addition, Skullcandy has worked directly with Ubisoft to develop a custom tuned audio profile with three distinct EQ settings designed to accentuate the audio environment, story and action found within Assassin’s Creed IV: Black Flag. The SLYR Assassin’s Creed IV: Black Flag Edition gaming headset is now available at select retail stores and at www.skullcandy.com for $79.95.